The Pittsburgh City Council is currently considering legislation that would ban certain kinds of firearms like the AR-15, bump stocks, and magazines capable of holding more than 10 rounds, and so-called armor-piercing bullets within city limits, as well as implement Extreme Risk Protection Orders allowing law enforcement to seize firearms from individual residents in certain circumstances. Gun-rights groups have already vowed to fight the proposed legislation in court because they believe it violates a state law forbidding localities in Pennsylvania from creating their own gun-control ordinances. When Pittsburgh Mayor Bill Peduto announced his intention to ignore state law, Pennsylvania Governor Tom Wolf was right there beside him. With family members of gun violence victims by his side, Gov. 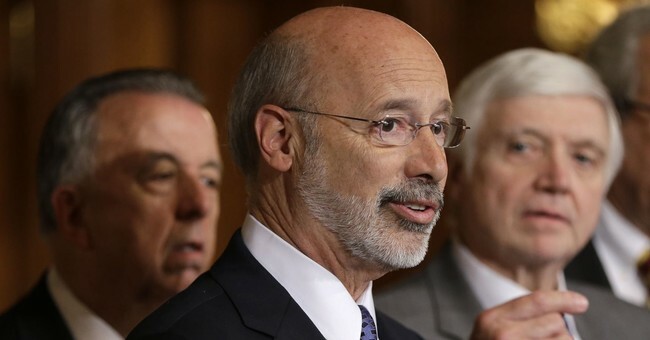 Tom Wolf renewed his call Tuesday for lawmakers to toughen Pennsylvania’s gun laws, now three months after a truck driver walked into a Pittsburgh synagogue and fatally shot 11 people. A bill already introduced in the Legislature’s new session would expand background checks on firearms in Pennsylvania and end an exception for private sales of shotguns, sporting rifles and semi-automatic rifles, known as the “gun show” loophole. Other bills expected to be introduced would ban assault weapons and limit magazine capacity. Another would create an “extreme risk protection order” that allows a law enforcement officer, a family member or a household member to petition a judge to order the immediate, if temporary, seizure of someone’s firearms. What’s you guess as to how long it will be before someone abuses the “extreme risk protection order” process?